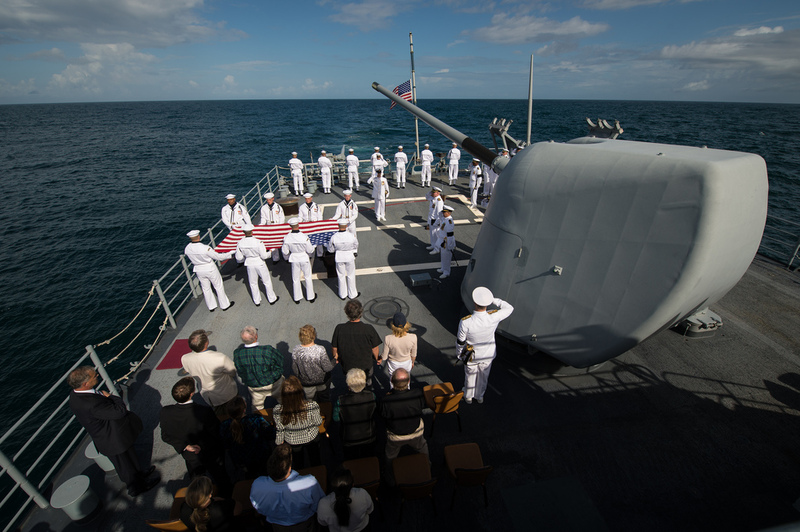 Earlier today, Friday, September 14, 2012, Neil A. Armstrong’s burial at sea service was held aboard the USS Philippine Sea in the Atlantic. The first man to walk on the Moon during the 1969 Apollo 11 mission, Armstrong passed away on Saturday, August 25. He was 82. See more photos from the service here. It was the great man and also a pionner which has knew how to cultivate the other borders beyond the Earth.